There’s nothing more irritating than acquiring creases, wrinkles or indentation marks on your otherwise silky smooth strands. 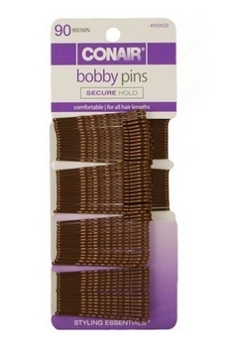 How do you avoid hair creases from bobbies, hair clips, elastics and pins? Keep reading for some quick fixes to this common hair problem. How Do Hair Indentation Marks And Creases Develop? How do these indentation marks and creases develop? Actually it’s fairly straightforward. Creases, indentations and wrinkles are more likely to develop in ponytails, updos and panels of hair when the tresses are wet or still damp. If you clip, pin or apply an elastic to hair which is damp the crease or hair wrinkle will actually dry into the tresses. Once an indentation has dried it can’t easily be removed by brushing or combing the strands. Certain types of bobbies, clips, elastics and pins are more likely to crease hair than other types. Pony elastics which have a seam or a metal or similar connector piece are more likely to cause creasing. 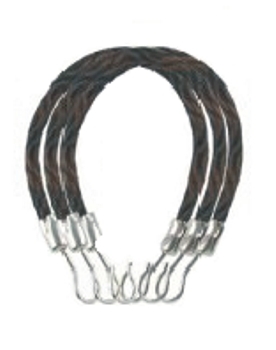 If you must use elastics on damp hair, use Blax or Bungee cords which are less likely to cause creasing. Blax are silky smooth and the Bungee cords can wrap completely around the hair and hooked into place. You can also use soft leather, ribbon or other types of seamless elastic cords to avoid creases. Soft elastics won’t pinch delicate strands. Rippled bobby pins can leave ridges. 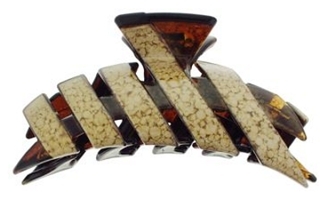 If possible, use straight hair pins to anchor damp hair to avoid indentations. 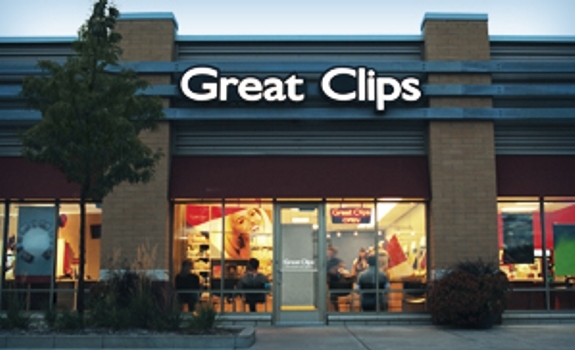 If a clip or a pin has natural ridges imagine just what it will do to damp or wet strands. There are several methods you can use to remove hair indentations. Choose one of the methods below which works best for you, your hair type and texture. 1. Spray or mist fine/thin or naturally straight hair with plain water. 2. Use a wide tooth comb and pick through the wrinkled area to make sure the area is damp. 3. 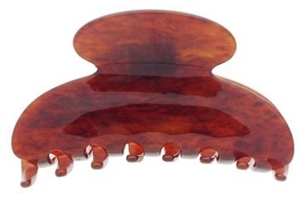 Use a paddle or round brush with a blow dryer to smooth out the bumps or indentations. 4. Mist thick, wavy or naturally curly hair with a moisturizing styling or setting spray. 5. Use a long finger diffuser on the area with the indentations until the hair is dry and the bumps are fluffed out. 6. If you prefer, you can let the hair air dry and then finger tousle. 2. Separate hair with the indentation into a separate section. 3. 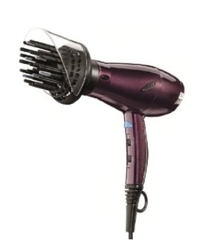 Spritz with a heat protection spray or hairspray. 4. 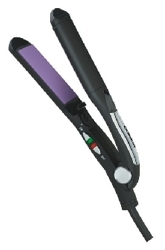 Use a hot flat iron and run it through the section of hair a few times until the indentation is completely removed. 4. Roll the section with the indentation on a large hot or steam roller. 5. Roll the section tightly to make sure indentation is completely smoothed out. 6. 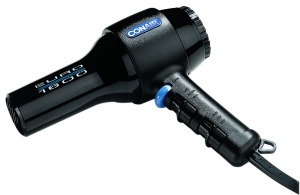 Allow the curler to completely dry. 7. 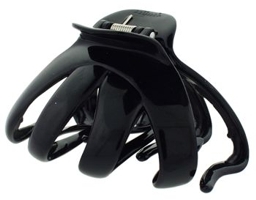 Remove the curler and then use fingers to deconstruct hair. 1. Smooth section of hair into a low ponytail gathered at the nape of the neck. 2. Use a curling iron curl the ends. 3. Allow the newly created curls to cool completely. The result? Hair will be sleek from the roots to the chin and cascade into loose waves along the perimeter. Although hair creases and big wrinkles created on your picture perfect hair with bobbies, hair clips, elastics and pins can be frustrating, there are some quick fixes. This entry was posted on Thursday, January 6th, 2011 at 11:27 pm	and is filed under Beauty Beat, Grooming, Hair, Hair Accessories, Hairstyles, Hairstyling Tips, Women's Hairstyles. You can follow any responses to this entry through the RSS 2.0 feed. Both comments and pings are currently closed.